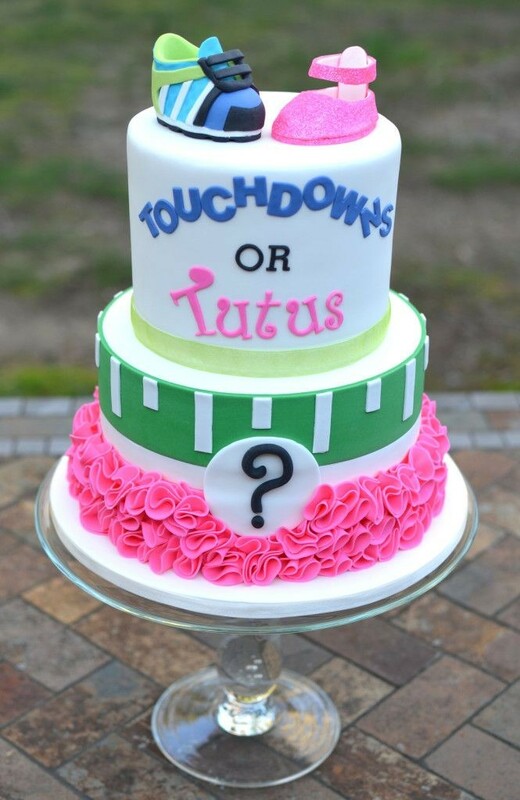 Are you throwing a gender reveal party, but can’t decide on a theme? Read on to learn about 19 unique and fun gender reveal themes for 2019. There are so many momentous points in any pregnancy: finding out you’re pregnant, hearing the heartbeat for the first time, deciding on a name or a few names. And of course, finding out if you’re having a baby boy or baby girl. While that revelation used to be a private moment between mom, dad, and doctor, more and more parents are turning it into a celebration. A gender reveal party is a great way to celebrate your upcoming bundle of joy with all your closest family and friends. Of course, it’s even better if you have the perfect party to kick off the reveal. As any planner knows, every great party needs a great theme. Take it a step beyond the usual “boy or girl” theme with these awesome gender reveal themes. As with weddings, people are adding more and more of their own personality into their babies’ gender reveals. If you want a gender reveal that’s catered to your growing family, try these fun themes. Sports are a common interest for so many families, whether you have a specific team you love or you just enjoy sports in general. You can bring that theme into your gender reveal party with a “pink vs. blue” theme. There are plenty of fun ways to carry this theme into your party. You can divide your guests into Team Blue and Team Pink and have them compete in party games. Depending on your family’s preferences, you can stick with one sport you’re passionate about for your theme. For instance, maybe you’re a huge basketball fan. With a basketball theme, you can have mom-to-be and dad-to-be compete with throwing blue and pink ping pong balls into a cup. You can have a table that looks like a basketball court with baskets on each end, one for boys and one for girls, and ask guests to guess the baby’s gender. As for the gender reveal itself, get a wastebasket and have a designated planner fill it with something pink or blue, like a liquid or powder. As the parents-to-be, you can throw a basketball into the wastebasket. When it lands, it will launch up the pink or blue material inside, revealing your baby’s gender. If you’re a couple who loves to hunt deer, a “buck or doe” party is a great way to bring your hobby into your gender reveal. You can decorate with pink and blue antlers or pink and blue camouflage. You can hang posters of a buck and a doe on your wall and have guests throw suction arrows at them as a fun, competitive game. For an on-theme gender reveal, try getting fake guns that shoot powder. Have your designated planner fill the guns with pink or blue powder. When you shoot them, you’ll find out the gender of your bundle of joy. Of course, make sure you do this in a way that’s safe for pregnant women. If you’ve been infected with royal fever like much of the world has over the past several years, this one’s for you. Consider throwing a royal-themed gender reveal party to find out if you’ll be welcoming a baby prince or princess. You can go all-out with gold-colored, ornate decorations. As the parents-to-be, you can even sit on luxe thrones during the party. And how do you find out the gender of your new treasure? One option is to have an ornate box with either a pink or blue crown inside. Another choice is to hire a trumpeter or find a guest who plays the trumpet. Have your designated planner put blue or pink powder inside the trumpet so it flies out when they play a royal tune. Most families’ homes end up full of Disney paraphernalia after they have kids. If you’re already in love with Disney, though, why not incorporate it into your gender reveal with a “Mickey or Minnie” theme? Of course, you don’t have to use Mickey and Minnie. If you have another pair of favorite Disney characters, you can use them instead. You can find plenty of fun Disney decorations for the party, and anything that’s red, white, and gold can fit the theme. As a party game, you can host a Disney-themed trivia game. For the actual gender reveal, try having your designated planner rent either a Mickey or Minnie costume. You and your guests will do a countdown until the planner pops out of a doorway to reveal if you’ll have your own Mickey or Minnie. If a costume rental isn’t in your budget, you still have some great options. Try getting a cake shaped like Mickey and Minnie ears that’s pink or blue inside, so you reveal the gender by cutting the cake. That’s just one of many gender reveal food ideas. If one or both of the parents-to-be have Mexican heritage, why not infuse your culture into your gender reveal party? In fact, you can do this with any cultural heritage. It’s a great way to share your family’s traditions with your friends who aren’t from your same culture. Throughout the party, you and your guests can sip on pink and blue margarita mocktails. If you want a fun party game, you can put a Mexican spin on horseshoes by tossing sombreros onto pegs. A Mexican gender reveal party is the perfect fit for a popular gender reveal option: a piñata. Your designated planner fills the piñata with either pink or blue candy or confetti. The parents-to-be take turns whacking the piñata and when it breaks, you find out your baby’s gender. For the parents-to-be that love science, why not inject a dose of chemistry into your gender reveal party? You can decorate with gloves and Petri dishes, and who doesn’t love the classic beaker mocktails? You can even dress in matching lab coats to complete the ensemble. When it comes to party games, the options are endless. Try setting up a ring toss table using plastic test tubes. If you want to give it more of an archaeological twist, try having pastries with “fossils” inside for guests to find, with the winners getting special prizes. For the gender reveal, one popular choice is to have your designated planner arrange a “chemistry experiment” with two solutions for you to combine. When the parents-to-be pour the two solutions into a beaker, they combine to look either pink or blue. Want to go more old-school? Go for the classic science class volcano. Have your designated planner put pink or blue coloring inside the volcano with the baking soda. When you pour in the vinegar, it erupts to show either blue or pink. Lady Luck or Mr. Moneybags? If the parents-to-be love the casino scene, you can incorporate that into your gender reveal party to see if you’re having a little “Lady Luck” or “Mr. Moneybags.” You can decorate all your tables like poker tables with green felt, along with red, black, and gold decor. A casino theme makes it easy to come up with great party games. Put those poker tables to good use. You can also create a giant Bingo card on the wall. Divide your guests into two teams: pink and blue. Each team throws discs that stick to the wall. The first time to get their discs to stick on enough boxes to form a Bingo wins. As far as the gender reveal itself, it depends on your budget. You could hire a magician to perform some card tricks, with the final one revealing your baby’s gender. Another option is to have each of your guests hold folders or boxes. You and your partner take turns choosing a folder or box to open. One of them will reveal your baby’s gender. Uncle Sam or Lady Liberty? If your family have a patriotic flair or if your gender reveal party coincides with a patriotic holiday, why not bring America into the mix as your theme? Part of the benefit of doing this theme is that your decorations will be easy to find anywhere you look. From streamers and balloons to paper plates and Uncle Sam hats, all the supplies you need are easy to find. Want some fun party ideas that go along with your America theme? Try a US history trivia game. You could also do a twist on the game “Celebrity.” Every guest writes down a historical figure and tosses it into a hat. You divide your guests into teams. They take turns seeing how many historical figures they can describe well enough for their teammates to guess. When it comes time to reveal the gender, you can have a large American flag with its stars pinned or stuck on. One by one, you and your partner remove the stars, which are all pink or blue on the back. Whichever color has more stars will represent your baby’s gender. Of course, we can’t talk about themes without a special shout-out to all the Star Wars fans. A themed gender reveal party can be the perfect way to find out if you’re having a little Luke or a little Leia. To decorate your party space, give the room a futuristic space-age look. You could even find a few stormtrooper cardboard cut-outs to serve as honored guests. Of course, no Star Wars party is complete without the mom-to-be wearing the classic Princess Leia side buns. As far as the gender reveal goes, a single lightsaber can do the trick. You can have the lightsaber light up with either pink or blue to reveal the baby’s gender. Another option is to have a wall of balloons: half pink and half blue. One will have confetti inside, and its color represents your baby’s gender. You’ll use the lightsaber to pop the balloons one by one until you find the special one that reveals the gender. What about the couple who loves the medieval period? Don’t worry, we have a gender reveal party theme for you to help you find out if you’re having a little lord or lady. All you need to do is check out some Monty Python movies for decor inspiration. Make your party space look like a castle from the days of old. The parents-to-be can even wear their favorite medieval clothing. If you want to play a few party games, jousting and sword-fighting might not be the safest choices. Make it more family-friendly by playing Pin the Tail on the Steed. You could also do a scavenger hunt with the riddles written in medieval terms. What about the gender reveal itself? One option is for your designated planner to get a special prop sword that has either a blue or pink blade. Keep it sheathed until the big reveal, when the parents-to-be will unsheathe it to find out your baby’s gender. If you’re more of the “Old West” type, this western theme is perfect for you and your growing bundle of joy. As the parents-to-be, you can dress in full “Wild Bill and Annie Oakey” garb. For a great party game, try a makeshift rodeo contest in which guests try to lasso a stationary cow. You can divide the guests into a blue team and a pink team to make it more interesting. How do you find out the gender of your little sharpshooter? With some six-shooters, of course! Use fake pistols that will fire powder pellets and have a designated planner loan them with either pink or blue powder. When you fire a shot, the powder explosion will tell you if you’re having a cowboy or a cowgirl. While there are plenty of old traditions we love, there are certainly new traditions we’re happy to add as well. That includes personalized gender reveal themes and parties where you can learn your baby’s gender surrounded by family and friends. The themes above can help you infuse your gender reveal party with your own personality as a family. For more awesome ideas, check out our gender reveal party blog.